Your home air conditioning system can be crucial to the comfort in your home. 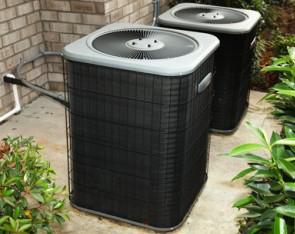 You must be certain when finding a residential AC unit that you know how it can work. The process for how it works is designed to keep everything running as well as possible. The first part of getting a home AC unit to work is to get the right type of refrigerant ready in a spot. The refrigerant can include a material that can go from a vapor to a liquid as it takes in the heat from inside your home and moves it outside. This in turn will allow the AC unit to create the cool air that your home needs. However, it cannot work without the support of the compressor. The compressor is the main piece in the HVAC setup that takes in the refrigerant. The refrigerant will move through the compressor at a low level of pressure. It will then leave with a higher pressure level. The refrigerant will move over to the condenser at this point. The refrigerant has to be run right to ensure that the setup is going to generate the right amount of cool air. The condenser will then help to manage the vapor as the compressor takes it in and moves it out. The vapor is then moved through a fan to get the refrigerant to go from the gas format to the right coolant. This will help to keep the home air conditioning unit running the right way. The components that move through will be cooled off to the point where the air will be comfortable and generated the right way. This should be done carefully enough to keep your space comfortable and ready for anything. What Does the Valve Do? The expansion valve will help generate more air in the AC unit by allowing the refrigerant to go through an opening that operates at a high level of pressure. The cool low pressure vapors will be generated through the valve. This comes as the mist moves through the evaporator coil to keep it functional and ready for use in an AC unit. The coil in your home air conditioning system can be a big part of what makes your setup ready and useful. The coil will take in hot and cold air and manage those two in different ways. In particular, the coil will absorb the hot air while the cooler air will be sent off and relaxed carefully enough. This should help with keeping the space comfortable and controlled for as long as possible. The HVAC unit that you have will work with a variety of great procedures dedicated to ensuring that the system will run with care and control for as long as possible. This in turn should provide you with enough help for managing whatever you want to use. This entry was posted in Air Conditioning Services and tagged air conditioning, home ac repair by admin. Bookmark the permalink.